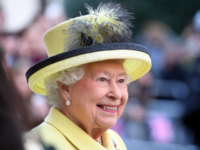 LONDON (AP) – Queen Elizabeth II is celebrating her 93rd birthday, which this year coincides with Easter Sunday. 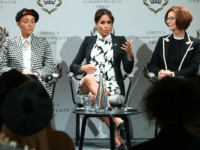 Meghan, Duchess of Sussex, née Meghan Markle, used an International Women’s Day event that she and husband Harry, Duke of Sussex, hope their baby will be a feminist. 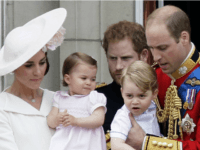 Actress Meghan Markle has reportedly told friends she and her husband Prince Harry have plans to raise their child with a “fluid approach to gender” that refrains from “imposing any stereotypes,” according to sources who spoke with Vanity Fair. 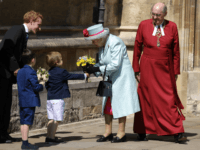 LONDON (AP) – A witness has described how he helped Queen Elizabeth II’s husband out of his car after it rolled over in an accident on a busy road known for safety issues in eastern England. 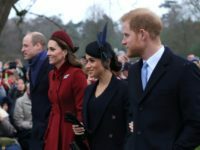 Members of the Royal Family including Queen Elizabeth II and new addition Meghan, Duchess of Sussex were cheered on by a crowd of well-wishers as they arrived for a Christmas day Church service in Sandringham, Norfolk. 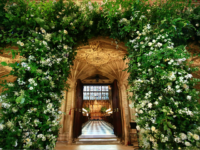 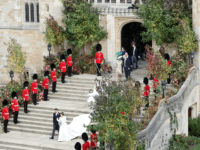 LONDON (AP) – The royal wedding of Princess Eugenie and Jack Brooksbank was a big hit in terms of British TV viewership. 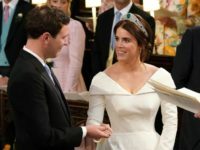 Princess Eugenie married tequila executive Jack Brooksbank in a solemn ceremony at St. George’s Chapel on the grounds of Windsor Castle Friday. 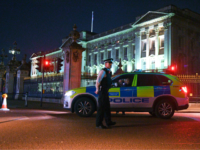 British police have released a man who was detained by security staff at Buckingham Palace on suspicion of carrying a Taser. 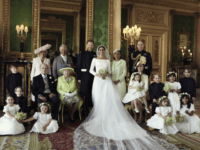 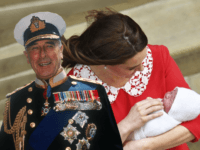 LONDON (AP) — Kensington Palace has released family photos of Prince Louis in the arms of his mother, the Duchess of Cambridge, to mark the baby boy’s christening. 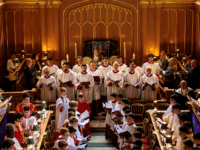 (PREMIER) — Accomplished singers from the Sistine Chapel Choir in Vatican City and Her Majesty’s Chapel Royal Choir have sung together at Buckingham Palace in support of persecuted Christians of all denominations. 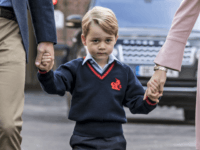 A British Islamic State supporter encouraged “lone wolf” terrorists to attack Prince George at school and inject poison into supermarket ice creams, a court has heard. 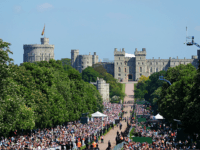 WINDSOR, England (AP) — The Latest on the Royal wedding (all times local). 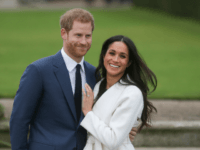 WINDSOR, England (AP) – Prince Harry and Meghan Markle will marry in an Anglican service with an American flavour that mixes prayers, classical music, a gospel choir and sweet soul sounds. 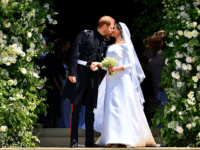 (AFP) — Prince Harry and his bride Meghan Markle will be known as the Duke and Duchess of Sussex after their wedding on Saturday, Buckingham Palace announced just hours before the ceremony. 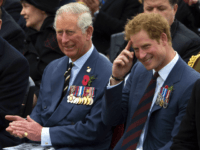 Prince Harry and other royals who “feed the progressive agenda” are signing the British monarchy’s death warrant, cautioned Bow Group chief Ben Harris-Quinney. 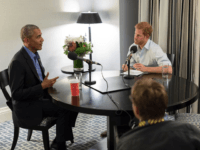 has praised his younger son Prince Harry for endorsing the received wisdom on climate change. 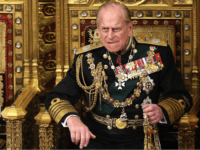 Princess Michael of Kent has been forced to apologise for wearing an allegedly racist Blackamoor brooch to a lunch attended by Meghan Markle. 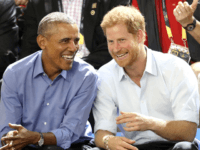 The global media made much of Britain’s Prince Harry announcing his engagement to American divorcee Meghan Markle, but a new poll has found British opinion on a variety of potential future scenarios — including gay marriage — is less settled. 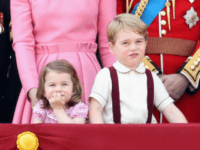 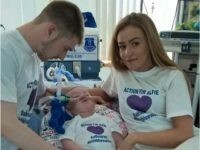 LONDON (AP) — Kensington Palace says the Duke and Duchess of Cambridge will take their children, Prince George and Princess Charlotte, along with them when they tour Germany and Poland. 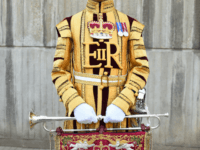 LONDON (AFP) – Britain’s Queen Elizabeth II celebrates her 91st birthday on Friday, with the world’s longest-reigning monarch taking a step back from royal duties to allow the younger generation to step forward. 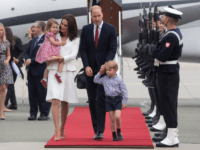 PARIS (AP) — Prince William and his wife Kate are coming to Paris to meet the French president as Britain readies to launch divorce proceedings from the European Union.